Is there a gap in your small town between local artists and local churches? What would bridging rural art and rural faith look like in your community? Last week while traveling to San Antonio to complete my last DMin seminar with Logsdon Seminary, I took some time while flying to work on a proposal for the Rural Arts and Culture Summit at the University of Minnesota, Morris. The Problem: There is often little connection between local artists and one of the biggest community assets in rural culture- local faith groups. In an increasingly postmodern world, a more holistic approach is desirable. The Claim: Religious congregations function as significant cultural assets in rural communities. Artists and churches can partner, creating a bridge between the symbolism of the artistic with the symbolism of the sacred, helping art and faith serve the whole human self. 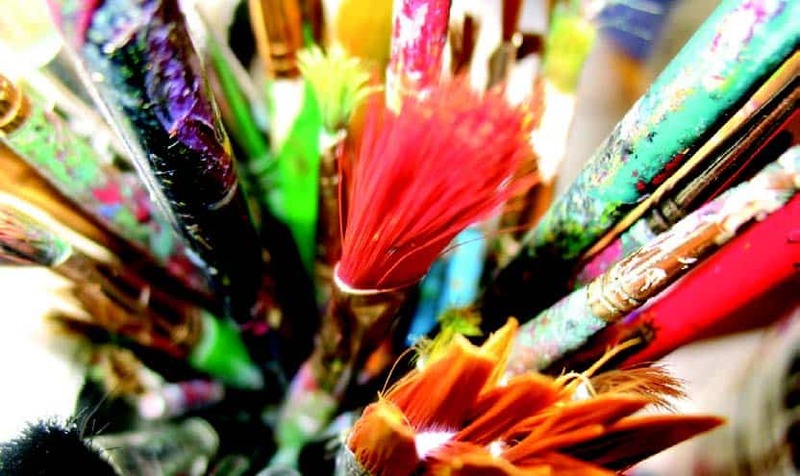 Such a connection will naturally inspire imagination and cultural engagement between the art community and people of faith, cultivating creative relationships that potentially foster unique cultural experiences, thereby leading to more vibrant communities. 1) People naturally connect with art in meaningful, arguably spiritual, ways. This alone begs for exploring partnerships between rural art and rural faith, since both inspire the human heart, mind, and soul. Artistic expression and religious experience are universal aspects of human culture- bridging across time, civilization, and spatiality (urban/rural). Might bridging rural art with rural faith help rural people to feel more deeply human? 2) Due to the postmodern shift, culture now largely emphasizes visual communication over the written word. Last time Western culture thought visually was the Middle Ages (before Guttenberg); a time in which partnerships between art and faith communities produced amazing results. Consider the Byzantine basilicas, calligraphers who translated and illustrated sacred texts, or stained glass windows created by unnamed artists in virtually every community in Europe. Is it possible that some of the brightest laboratories for postmodernism are actually rural communities and not trendy urban loft-studios? Bridging rural art with rural faith might help provide rural expressions of the holistic postmodern impulse. 3) Artists will increasingly build social, moral, artistic and economic capital in rural communities by finding ways to partner with institutions that already have such capital. Churches are major assets to rural populations and inherently function as centers of rural community and culture. If hospitals, social work agencies, and school systems can benefit from bridging with rural faith communities, why not artists? Conclusion: Cutting edge research shows that in the future, rural communities will increasingly assimilate postmodern values as their own, as rural and postmodern values often prove complementary. Just as postmodern art often mixes media and technique as an expression of complexity and connectedness, so too do partnering and networking between seemingly unrelated organizations. Hence, the possibility of fruitful connection between rural artists and rural faith groups may represent a holistic bridge towards more vibrant rural communities.